The Medicare Part D policy was started as a voluntary service to outpatients for drug benefits. Effective from January 2006, it was initiated with a view of de-escalating the cost for drugs. Part D Plans are known as an insurance cover for branded as well as generic drugs for those who end up spending considerable sums of money on medicines. Though these plans have been proposed by law, they are issued by private insurers. Drug Plans by Medicare cannot be termed as perfect or complete by any means, but still they do help a large number of people in covering their prescription drug bills. 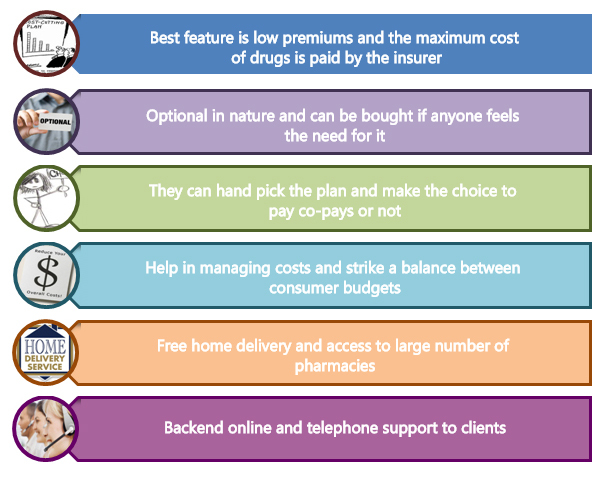 Part D Plans compete with each other on the quality of services that they provide, network of pharmacies, premiums, benefits added, therapies if needed and on the number of enrollees. It is recommended by many that even if you don’t have many medications prescribed it is still a good option to buttress the original Medicare plan with Part D.
Some Medicare Part D plans bear the risk for spending on drugs on behalf of their enrollees. Approximately 75 % of the premium is subsidized by Medicare and further additional funds are granted, if one has low levels of income and assets. Enrollees should keep in mind that coverage of Part D plans is not standardized and it keeps varying from company to company and state to state. Each Part D plan has a blueprint of the list of prescriptions that it covers. These blueprints are termed as FORMULARIES. One can use a formulary finder to know which plan matches the current medications of an individual. 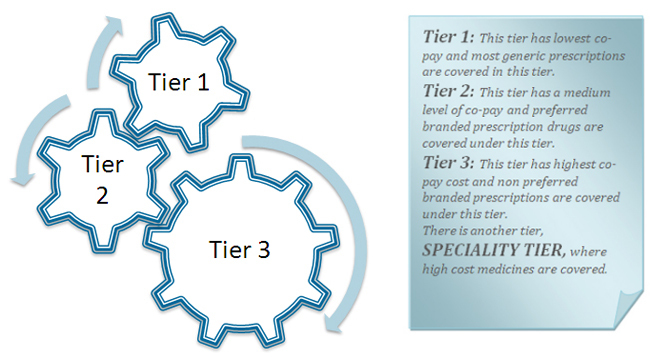 If the plan that is selected has a tier system in it, one should be careful about prescription drugs that it covers. Some of the Part D plans also include step therapy, which means that if a medication is not effective enough, enrollees might be stepped up to the next expensive drug. They might also have a quantity limit on how much drugs can be bought at a particular time. 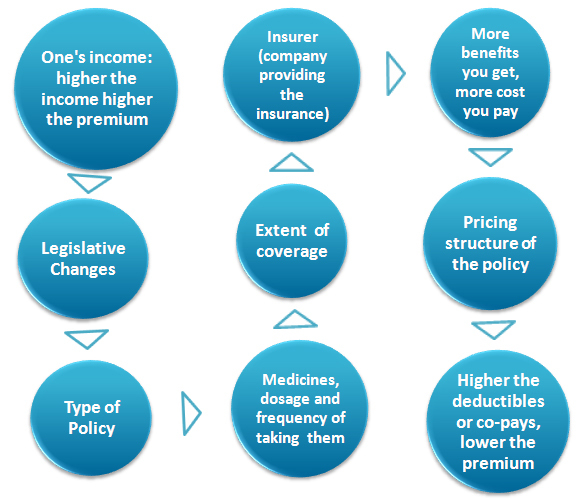 The above mentioned factors are some of points on the basis of which Medicare Part D premiums are calculated. These points not only help to know what premium is to be paid, also it gives enough time to an individual to evaluate their needs and purchase a suitable plan for themselves. Part D Plans change every year, as do their premiums, deductibles, co-pays and formularies. New plans replace old plans, so Medicare D customers should review their plans on an annual basis. By modifying the subscribed plan according to individual needs and ensuring that you are enrolled in the right plan, you could potentially save considerable sums over the course of the year and save time.